Lynsey is a prize-winning international photojournalist who photographs for The New York Times, National Geographic magazine and Time. She covered the fall of Saddam Hussein in Iraq and the conflict in Darfur, and for five years photographed in Afghanistan, embedded with American troops on the front lines as well as covering the lives of Afghan civilians. She spent a year documenting the plight of Syrian refugees in Turkey, Iraq, Lebanon and Jordan and has covered stories as diverse as the coal belt in India to the push of Islamic State militants into Northern Iraq. Among Lynsey's numerous awards is a MacArthur Fellowship, a shared Pulitzer Prize for international reporting and the Overseas Press Club's Olivier Rebbot Award. In January, 2015, American Photo magazine named her one of the top five photographers of the last 25 years to Influence the way we see the world. She is the author of the acclaimed memoir, It's What I Do: A Photographer's Life of Love and War. Lynsey is exclusively represented by Getty Images Reportage. It's hard not to get emotionally involved in the story. Whether you grow to love a place or hate it, you feel connected to the people. I'm in their lives every day. An internally displaced woman rides her donkey through kalma camp in Nyala, South Darfur, Sudan, November 2005. A woman walks with her baby through the forest in Eastern Bhutan, 2008. Italians distribute food to migrants from Syria, Gambia, Eritrea, and Iraq, among other countries, shortly after they disembarked from an Italian navy ship after being intercepted and rescued at sea en route to Italy from Libya, to the port in Augusta, Sicily, Italy. September 11, 2014. Syrian refugees cross through a no-mans land from Syria into Northern Iraq at the Sahela border crossing, in Northern Iraq, August 20, 2013. A Sudanese Liberation Army soldier walks through the remains of Hangala village, which was burned by Janjaweed near Farawiya, in Darfur, Sudan, several months before. August 27, 2004. Noor Nisa 20, in burqua on hill, and her mother, Nazer Begam, 40, are waiting transport to the hospital. Noor Nisa is pregnant, and her water has just broken. Their car broke down on the side of the road. Her husband has gone to look for other transport. An Iraqi woman walks through a plume of smoke rising from a massive fire at a liquid gas factory as she searches for her husband in the vicinity of the fire in Basra, Iraq. May 26, 2003. Three Afghan women walk through Kabul's main bazaar, in Afghanistan, August 16, 2005. See more of Lynsey’s work at her website at www.lynseyaddario.com and learn more about her memoir at www.itswhatidobook.com. Check her out on social media: Facebook, Twitter, Instagram. 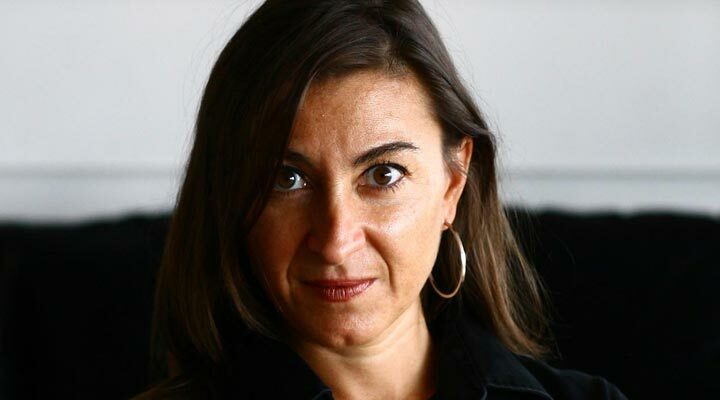 Photojournalist Lynsey Addario is a Nikon Ambassador. Learn more about her photography.